Will pop over to see Dog Snob 🙂 Your veg patch is looking good. Get some courgettes, they grow like weeds. Bathrooms looking good too 🙂 I was shocked to hear Mr Fish had cancelled on you twice. Well, his loss, he has missed out on two fun evenings. Keep us updated on this. That’s one word for it. Going on your Christmas list is it Clowie?? Well there’s three minutes of my life gone (from watching the video) that I’ll get back! WTF? That is worse to me than that stupid poop catcher!! First did you see those poor dogs? They were getting pulled against their will AND they were trying to potty and not being able to. Then they added the fourth dog on a neck collar. A NECK COLLAR. OMG This has me all fired up. 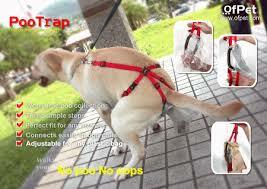 The fact it was added on a neck collar when they clearly said the dog should be harnessed was not lost on me!! Awful isn’t it! !